Oh, and here’s a photo from after Martin’s wedding. 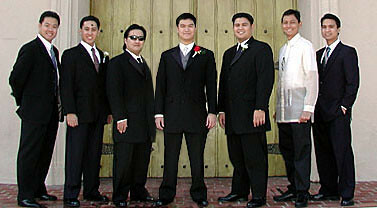 The happy groom is in the center, flanked by friends from through the years. I’m the fashionable odd man out. If only I lived in Baltimore I would ask to spend a long time with you so you could teach me how to do such beautiful webdesign.